Happy New Year! The spring equinox is here, and with it, a new zodiac year begins. Can you feel the ground thawing, and the world coming to life again, and your desires suddenly flowering as spring does? Can you feel the world opening its arms to you once more? Now that winter is ending, it can feel like everything holds fresh potential, and everything is about to change. After Pisces season, which can leave you so attuned to the needs of other people that you forget your own, Aries season can call you back to your sharp, solid self. Pisces season has a tendency to leave you lost in the world’s fluid interconnectedness; Aries season brings you back to your body, real and alive and full of needs and desire. Aries — the first sign of the astrological year, from about March 20 to April 20 — is represented by the ram, but it’s also often called the newborn baby of the zodiac. If you’re an Aries sun, this can feel a little insulting, but that doesn’t mean you’re helpless or immature or babyish. Rather, it’s about an energy of newness and potential. From here, everything is possible. From here, it’s fully within your power to do whatever you want, to create the life that you need. Like all the signs that mark the start of a season, Aries can be more comfortable with new beginnings than with maintaining a status quo, more comfortable taking decisive action than waiting to respond. Since Aries isn’t just the first sign of the season, but of the entire zodiac year, Aries season can be a particularly bright time for beginnings — new projects, new jobs, new relationships. It’s also, more broadly, a time for thinking boldly. You don’t have to mold your desires or temper your expectations when it’s within your power to change what is possible. Aries energy tends to run hot, impulsive, and direct. It’s a fire sign, and it’s also ruled by Mars, the planet of drive and desire. The fact that Mars shares a name with the god of war can give the impression that Aries is somehow a “warlike” or particularly aggressive sign, but that’s not necessarily true. What is true is that Aries carries a sense of confidence, of drive, of pure will propelling you forward through the world. This confidence can sometimes seem like aggression, but it’s often simply straightforwardness, an unwillingness to scheme or tiptoe or lie. The flip side of this hot energy is that Aries tends not to be the most thoughtful or careful of the signs, so while Aries season can be an incredible time to start new things, it’s not always the best time for thinking ahead to the long term. It’s not the best time for trickery or games or deception. At its worst, Aries energy can make it easy to trample other people’s feelings — not on purpose, but by moving too fast, without stopping to think. At its best, though, Aries energy can give you the fire you need to feel alive, to assert yourself, to make a bright change to your life. Think about Aretha Franklin performing in a long gold gown and floor-length fur coat (think about Aretha Franklin’s voice, in general). In Aries season, you can be as loud and clear and beautiful as that! Think about every wild high-fashion outfit Celine Dion has ever worn — in Aries season, you can be that much yourself, that joyfully unbothered. 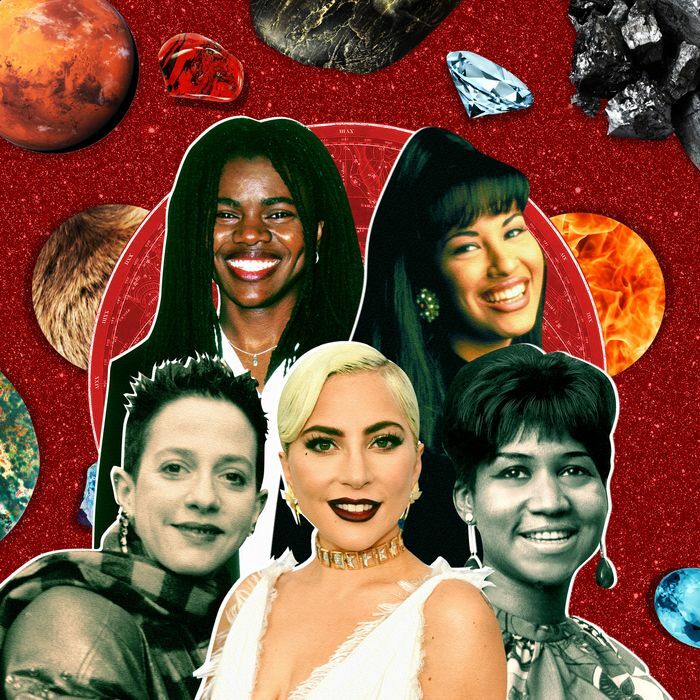 In Aries season, you don’t need other people to believe in you — you’ve already got the confidence you need. In Aries season, you don’t need other people to give you permission — you already know that you have a right to be here, exactly as you are. At its best, Aries season can give you the energy you need to go for it, to do your thing, to shoot your one big shot. Why not? You have this bright springtime confidence, so use it!